In our Kindergarten community, friendships blossom, teachers build community, and a love of learning takes flight, all in a bright, colorful environment where children can engage in educational play in a variety of spaces that lend themselves to group work, large assembly, and quiet reading and reflection, often with older students who come to read with them, a highlight of their day! Here you’ll find students who roll the dice to jump from one number to the next, using whole body movement to learn early math skills; students who observe the world around them, what’s undersea, and where Earth fits into the solar system; students who begin to use Hebrew every day in tefillah, conversation, and in learning about the Jewish holidays; students who explore the Torah through stories, songs, and art, and who perform plays for their parents, building confidence and communications skills throughout the year; students who begin to internalize our Jewish values and become mensches. 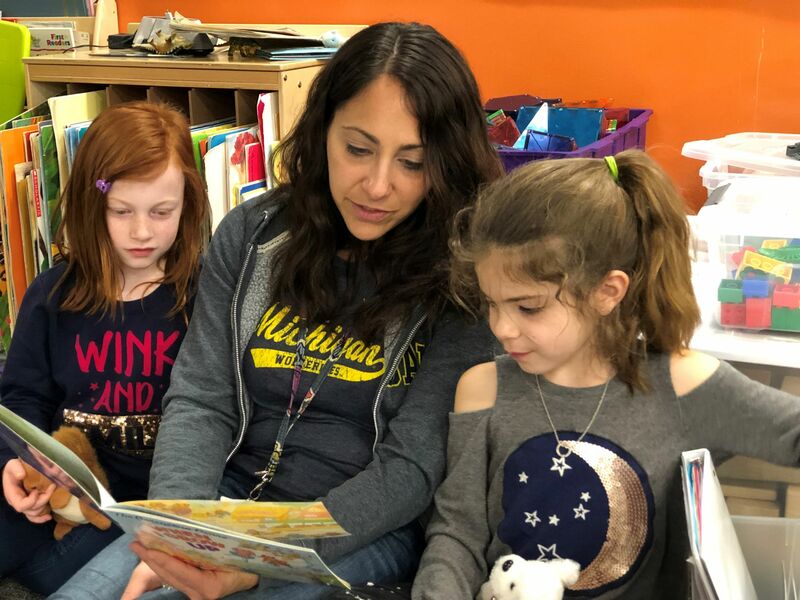 In Kindergarten, teachers use Reader’s and Writer’s Workshop to launch foundational lessons eliciting creativity, and developing literacy while differentiating instruction based on interest and level, and providing opportunities for students to share their work with their peers. In Math, students explore relationships with whole numbers, shapes, patterns, and measurement while solving problems as they relate to the real world. 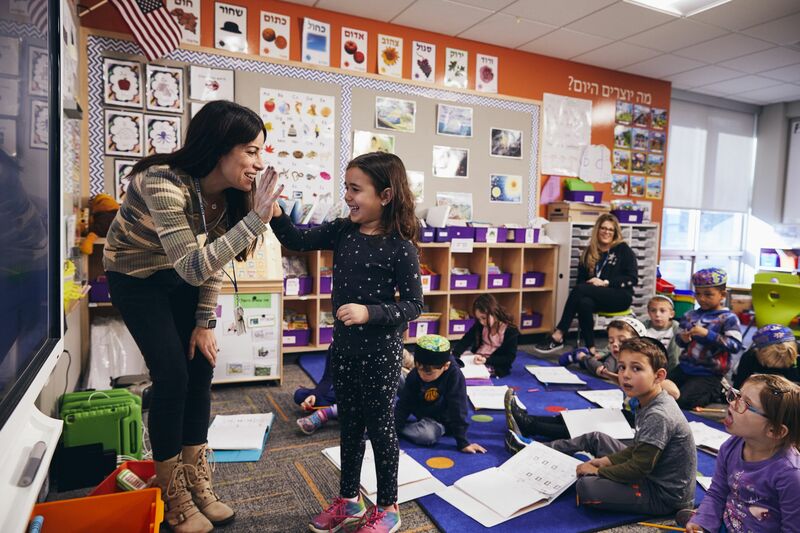 General and Judaic studies teachers collaborate effectively to integrate lessons, thereby immersing students in both languages throughout the day at developmentally appropriate levels to differentiate instruction. Students also are introduced to concepts in science as well as history, geography, and economics through hands-on projects and manipulatives. They begin to gain an appreciation of the fine arts through music and art classes, and work on motor skills - and teamwork! - through their physical education classes. Our students begin learning engineering and coding and become digital citizens through our library, technology and MakerSpace activities.